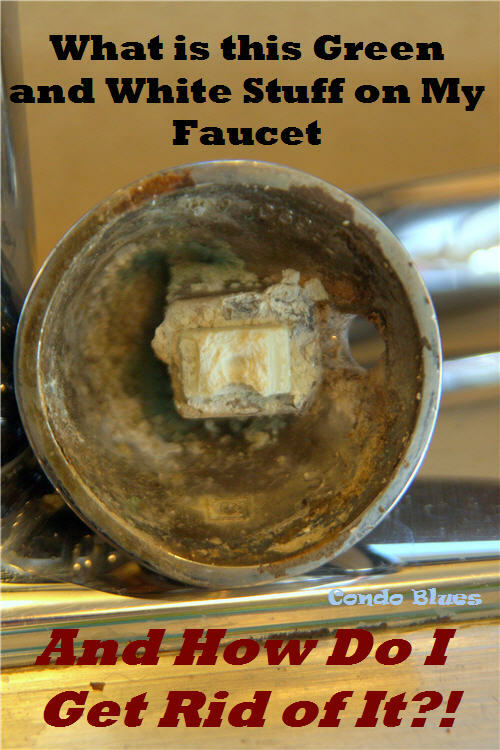 Condo Blues: What is This Green and White Corrosion on My Faucet and How Do I Fix It? What is This Green and White Corrosion on My Faucet and How Do I Fix It? The kitchen sink started leaking from the back side of the faucet handle. Most of the time the kitchen faucet leaks because the washer in the faucet handle wears out. Faucet handles get a lot of use all day every day so the wearing of moving parts is inevitable. Replacing the washer with a new one is usually the quick and simple fix. I removed the screw cover and screw from my single single handle faucet to lift the handle up to remove it and replace the rubber washer. 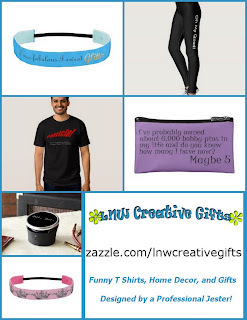 Pin this post for reference later! You can see a lot of rust inside of the faucet handle. White and green corrosion fused the faucet handle parts together and snapped off in my had. What is this stuff? The white corrosion that looks like cauliflower most likely caused by natural minerals and calcium in my city water. A micro leak at the connection allowed the calcium in the water to react to the metal in the faucet to form crystals that probably sealed the microscopic water leaks until the washer wore out. Science! Underneath the sink cabinet held more clues. There was green corrosion and a lot of rust where the kitchen faucet water supply lines and the water shut off valve meet. 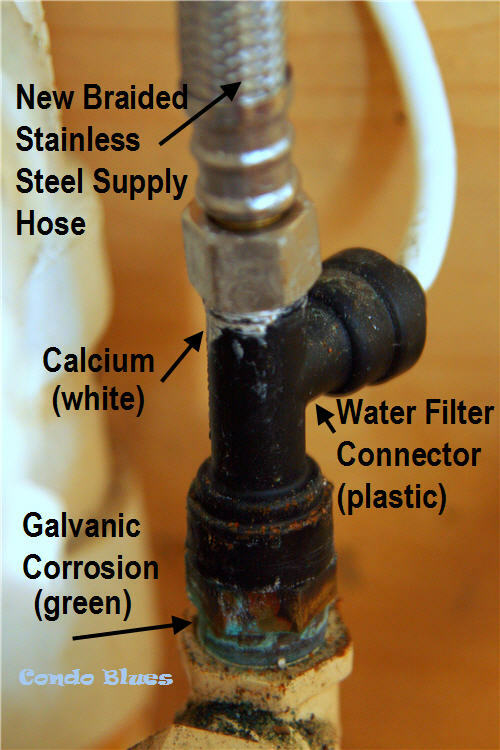 The green corrosion is from two different types of metal (in my case the faucet and plumbing fittings) reacting to ions in the water and causing galvanic or dissimilar metal corrosion (sometimes called electrolysis.) I’m not surprised because I had the same issue in the laundry room. It’s an easy fix. Replace the faucet, and replace the water supply lines with braided stainless steel water supply hoses. 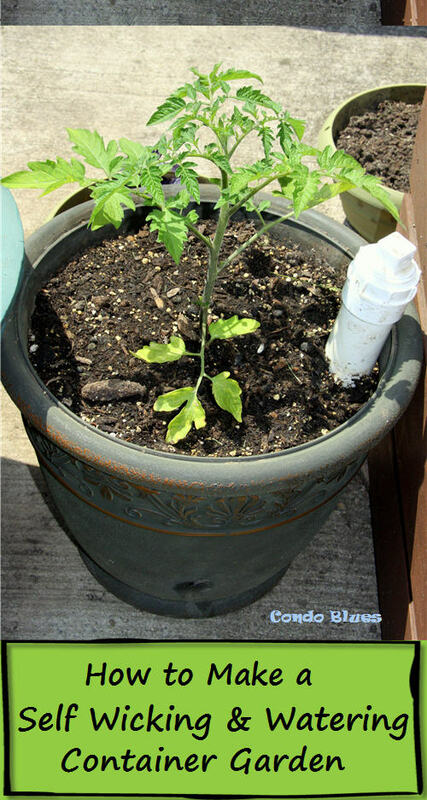 Don’t cheap out on the water supply hoses! My builder did and that’s how I got into this mess. I also dabbed a bit of silicone plumber’s grease to the screw threads to act as a water barrier to head off future corrosion. Warning: Do NOT use petroleum based plumber’s grease. It will eat the rubber washers in your plumbing hoses. 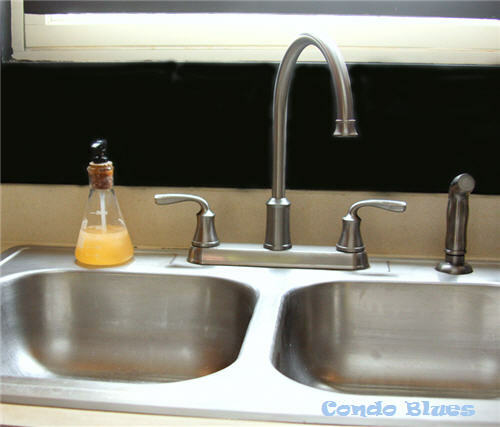 Unexpected early kitchen faucet upgrade – yay! I needed something ASAP which means I couldn’t order anything to move us toward our future kitchen remodel that we haven’t discussed in detail so we don't know what we want in an uber faucet. I took this an opportunity to give a new type of faucet a try which we may or may not keep in the very distant future kitchen remodel and redesign. Our new kitchen faucet and sprayer! Most kitchen faucets I see are very tall with a sprayer in the head. I was concerned that style might knock into my old window window treatment but I still wanted a kitchen sprayer (good call it’s awesome.). I also wanted something different since every apartment I lived in had an angled kitchen faucet you can’t put a stock pot under. I went into the store leaning towards Delta because I knew from experience, they use plastic lock nuts to attach their faucets to the sink. I know my dark green readers are freaking over non eco friendly plastic parts but in this case plastic instead of metal will make it less likely for electrolysis to form and fuse the lock nuts in place which required cutting the old ones off with a Dremel. Have you ever tried to cut through metal in a small space and try not be burned by flying sparks or set the surrounding area on fire? It’s not fun. I want to avoid this precarious situation in the future. Ow. 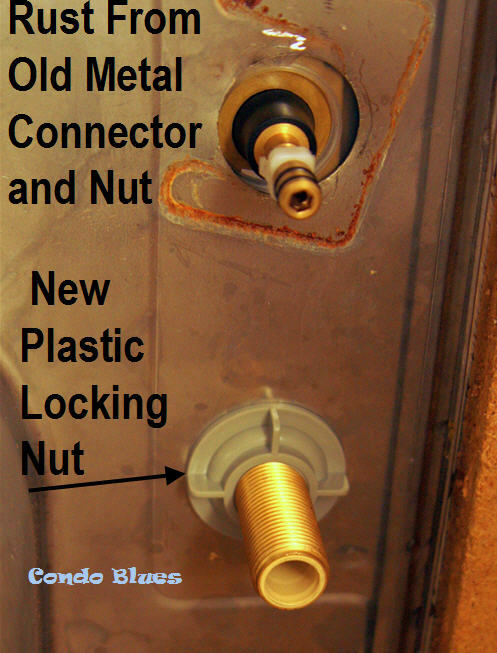 I couldn't donate the faucet the kitchen faucet with the fused metal lock nuts because I had to destroy it to remove it. With this guy, I can if I choose to replace it in the future. After walking up and down the faucet aisle for probably way too long to buy a quick replacement faucet, I kept coming back to a two handle wet bar style faucets similar to Delta Foundations Two Handle Kitchen Faucet named Lorain because it is a high arch, water efficient, no lead compliment kitchen faucet that shares its name with a small city and county in Ohio. So yeah. I choose my kitchen fixtures based on the name of the city with my favorite flea market. Also I wanted to give a two handled kitchen faucet a try to be different. The foot print is slightly small than the original faucet and I like that too. The only downside (minus the pain and suffering of removing the old fused together everything of the old faucet and water lines) is this particular model has a specially sized aerator so you need to order a replacement from Delta Faucet Company rather than buying a universal size aerator at the home improvement store. Faucet aerators gunking up to the point where I can't clean them and need to replace them hasn't been an issue for me and since it is already a low flow rated aerator it is something I don't expect to need to replace in the future. From the reviews I read after I bought the faucet it seems to be an issue for some so I thought I'd pass it along.